As you know, the best investment strategies protect your hard-earned capital through diversified assets. Time and time again, tangible assets including precious metals, foreign currency, and land, have proven to be the strongest. Capitalize on a limited international opportunity that gives you full-ownership of cash-flow investment property in Caribbean Belize. Investing in real estate is one of the most effective and profitable wealth protection strategies available today. What does this mean for you? 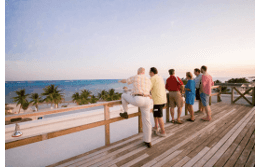 This means a cash-flow vacation rental ownership of beachfront real estate with one of the region’s most respected developers thanks to over 20 years of experience. Simply put, The Grand Baymen Oceanside is a game changer for the rapidly progressing Caribbean island of Ambergris Caye. Get in on the ground floor of an opportunity in a destination that is quickly becoming the the #1 vacation and retirement hot spot. To learn more about Ambergris Caye and Grand Baymen Oceanside’s limited time pre-construction pricing, click below.